BRYAN EATON/Staff photo. 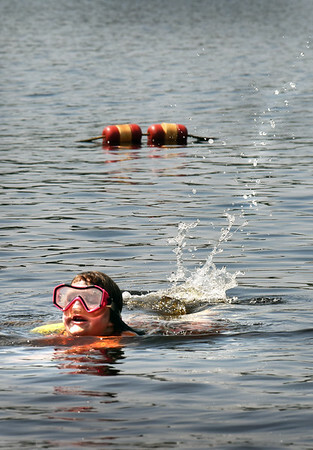 Elizabeth Bell, 10, of Salisbury paddles along Lake Gardner Beach in Amesbury on Thursday afternoon. The weather looks good overall into the weekend, though a passing shower is possible on Saturday, with Sunday being mostly sunny.